Today I wanted to write a little 'opinionated' editorial. Typically we do not address rumors and gossip. But an accumulation of things that have been going on over at camp NVIDIA and the Internet leading us to believe things are not as they should be. The rumors are creating a rather negative stigma for NVIDIA. Last week most of NVIDIA's partner got sampled with the first GeForce 400 series graphics cards, and of course somebody somewhere leaked information towards a person which we'll just call 'Mr C', this friendly little fellah has an unnatural and seriously unhealthy attitude towards NVIDIA, I'm seriously afraid he's gonna stroke out some day. Take a chill pill man, it's just hardware. With his most recent plot and post however a lot of chatter started on the web with ATI fans attacked NVIDIA fans, the guy is really good stirring up things, yet his claims are often well .. very semi-accurate for sure. What I wanted to do is talk you through what has been happening at NVIDIA (from what we know), where we are and what's going to happen. So it was what .. roughly summer 2009 when NVIDIA taped out a new product series under family name Fermi. Initially Fermi was supposed to launch alongside Windows 7 back in October 2009, mind you that it was taped out -- add to that 6-8 eight weeks for the first products to get into real production. That makes total sense. Due to 40nm yield issues (broken chips on a wafer) the initial launch got delayed, with a silent hope of a Christmas release. That didn't happen. NVIDIA had time though, DX11 is not yet taking off massively, but for DX11 to take and create incentive to developers and end-users one must invest in it, you'll actually have to release DX11 class products sooner than later. It's all about adoption rate. At CES Fermi very likely was supposed to launch, NVIDIA invited selected press to attend a briefing, that briefing in the end became an GPU architecture deep dive briefing. It was weird to the extent that the press wasn't even allowed to even see the product physically, neither where any details on clocks, TDP, temps shared whatsoever. At that very briefing Guru3D was promised boards in February for review with a launch during CeBIT. Well ..today is the 22nd of February, there are no boards seeded to press. Last week I had a brief call with our primary NVIDIA contact regarding CeBIT and he didn't even mention Fermi once, when I asked when we could expect samples the word got out, likely during or after CeBIT. So while you'll see GeForce 400 boards shown at CeBIT, we do not expect it to launch next week. Perhaps there might be a launch in March but we feel (yet do not hope) its going to be a paper launch with a small selection of press seed samples and limited available stock. Last week NVIDIA's CEO made a rather remarkable comment indicating they still need more time, Fermi based products will be available in good volume starting Q2, a financial quarter. Q2 [of FY 2011] is going to be the quarter when Fermi is hitting the full stride. It will not just be one Fermi product, there will be a couple of Fermi products to span many different price ranges, but also the Fermi products will span GeForce Quadro and Tesla. So, we are going to be ramping now on Fermi architecture products through Q2 and we are building a lot of it. I am really excited about the upcoming launch of Fermi and I think it will more than offset the seasonality that we usually see in Q2, said Jen-Hsun Huang, chief executive officer of Nvidia, during the most recent conference call with financial analysts. Financial Quarters in the industry however end one month later than you and I assume, Q2 for NVIDIA means the start of May 2010. Here's what we think is going to happen, during March we'll definitely see the launch of GeForce 470 and 480, though with low allocation and volume available until Q2. Once we hit Q2 expect a lot, seriously a lot of derivative DX11 class products for the midrange, entry-level and low-end spectrum as well. Why ? Well NVIDIA is late to the market, real late .. roughly six months ago GeForce 480 and 470 should have been released and the other planned products overlap that timeframe. The summer is going to be busy for NVIDIA, either that or they will be re-scheduling their product releases. So that's my vision of what is going to happen in the next three months. Now let's go a little deeper into the issues causing the delays. Initially NVIDIA ran into a can of worms with the A1 revision of GF100 (Fermi), yields have had to be incredible horrible as they very quickly shifted to revision (build) A2 of the ASIC. After revision A2 was out some time passed and TSMC reported that the majority of their 40nm issues had been solved. Good proof of that is that ATI is pushing out many DX11 class product in much diversity and reasonable volume. That means the wafer yields, though likely not very good, where okay enough. So there's something else going on as well next to yield issues. Either a bug slipped in or the thermal package is causing issues resulting in lower than anticipated clock frequencies and perhaps heat related issues. Last week NVIDIA's board partners finally got samples of Fermi based products. This means a finalized package - with perhaps some clock changes at best. Most of the partners received a GeForce GTX 470. Now here's the difference with the aforementioned website, we know the majority specs and some performance results, however I'm not about to share them, I mean come on ... give NVIDIA some credit here. What I will tell you is that the clock frequencies on these boards surprised me, the GeForce 470 seems to be clocked at roughly 650 MHz, that's lower than I expected. And that indeed will have an effect on performance. I think it's safe to that the GeForce 470 and 480 will be worthy competitors towards the Radeon HD 5850 and 5870. Will it be a knock-out ? I doubt it very much. But is it important for NVIDIA to deliver a knockout to the competition ? Well they would hope so, but no .. not really, as the current performance levels that ATI for example offers simply are superb already. Being six months late to the market does pose an issue, ATI will already be respinning and binning their upcoming products, clocked higher and they could match NVIDIA in either price or performance. Whether or not how much faster or slower Fermi / GT100 will be will remain trivial, but it will al depend on pricing. If Fermi is slightly slower, then the prices will be adjusted accordingly. So in the end it will everything will make sense again. Back to reality. We found out (and verified), surprisingly enough, that the GPU is already at revision A3, that's the third revision of the GPU, the GF100 already has had three builds. So yes, something was wrong, very wrong alongside the initial yield issues. But we know that the products right now are in volume production, will it be many weeks before we see good availability ? Sure it will. Maybe April, or indeed May is where things will start to make a difference. Performance will be very good, however with the clocks I have seen (and only if they are final) I do believe they will not be brilliant though. NVIDIA has many trump cards though, they have an outstanding driver team which will drive performance upwards fast and soon. And that's where I like to end this little opinionated article. 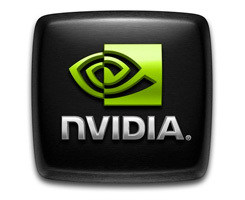 NVIDIA's Fermi is not a what I read somewhere "a sinking ship" or to quote "Hot, buggy and far too slow". I have no doubt it will be a good product series, but I'll agree on this, NVIDIA likely would have wanted to squeeze some more performance out of it as it was likely the most difficult product they have ever gotten to market, it has been fighting them all the way. In the end as stated we are not sharing juicy details or the performance numbers we have seen. As always, in order to remain objective you judge a product once you actually have had it in your hands to test it. Which is what we intend to do. In the end I'm not concerned about NVIDIA, but the AIB and AIC partners heavily rely on these new products in already harsh times. And for them this all is and was worrisome. So with that I'd like to close, patience, my friend, is a virtue ... we should all have a little more and base our real opinions on the final product, and not blindly absorb rumors on the web. We do expect a final release late March. But that as well remains a rumor, of course. What do you think ? Voice your opinion. Today I wanted to write a little 'opinionated' editorial. Typically we do not address rumors and gossip. But an accumulation of things that have been going on over at camp NVIDIA and the Internet leading us to believe things are not as they should be. The rumors are creating a rather negative stigma for NVIDIA. Here's our take on the pending GeForce 470 and 480.